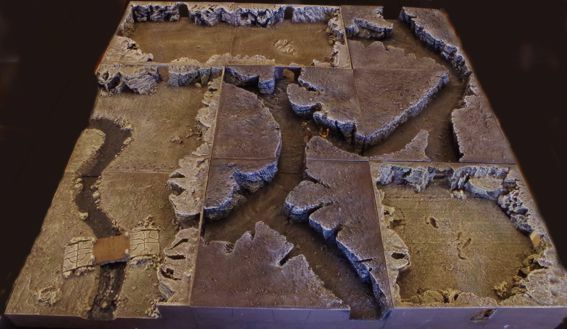 This is a brand new tile for the Sally 4th Terra-Former terrain system. 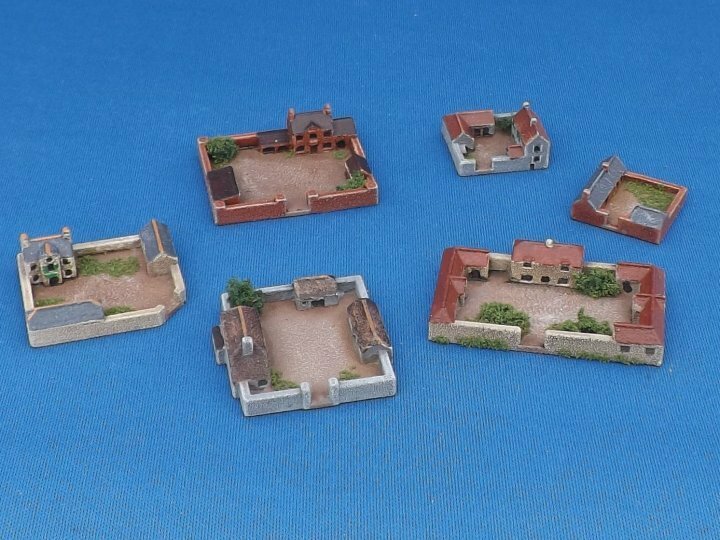 It's a very versatile kit that can be used to make straight passageway, corner passageway, 'Y' Junction, 'T' Junction, Crossroads and even caverns. Each side profile has a choice of three exit points that can be used for lots of variety. The tiles in the photos were completed with polystyrene and filler. 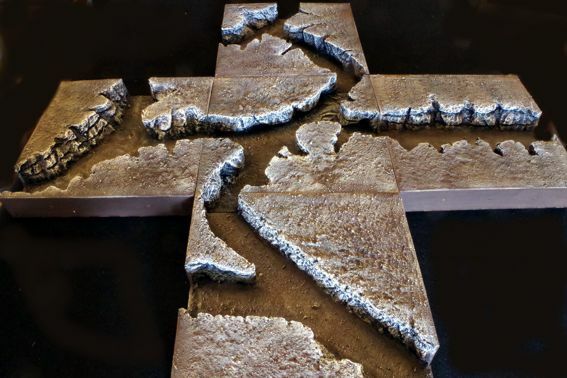 Terra-Former terrain tiles contain components to make a 12" square terrain tile that are light, rigid and robust with rare earth magnets to align them perfectly and keep them from drifting apart mid game. Profiles include hills, streams, rivers, canals, cliffs, caves, trenches and many more. 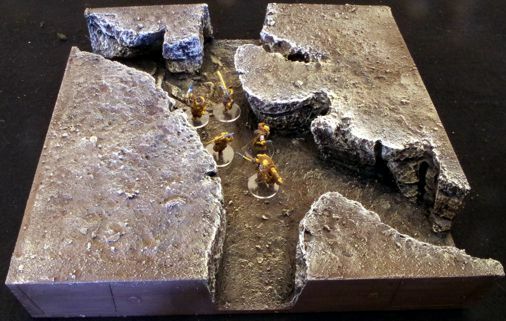 Combat Plaza: SciFi Gaming Mat from Pwork Wargames! 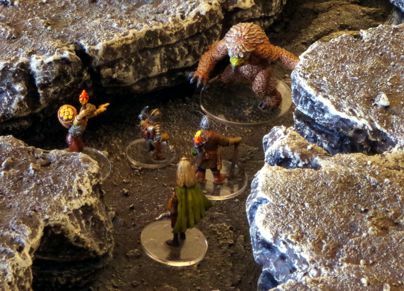 Play your battles on a large square of a futuristic megalopolis, an ideal location for futuristic game play and for skirmish fights, in particular for Infinity the Game settings!